Training bag Sparring is printed with numbered score points to allow for exciting and diverse punching combinations. Specially designed to train response, springiness and accuracy. Features sewed on chrome chain holdings. Made from insensitive Nylon that’s resistant to wear and tear. Black colour. Available sizes: 60, 80 and 100 cm. Члены Клуба 5* экономят 59,90 € при покупке этого товара. Punching by numbers… or better… punching by command! 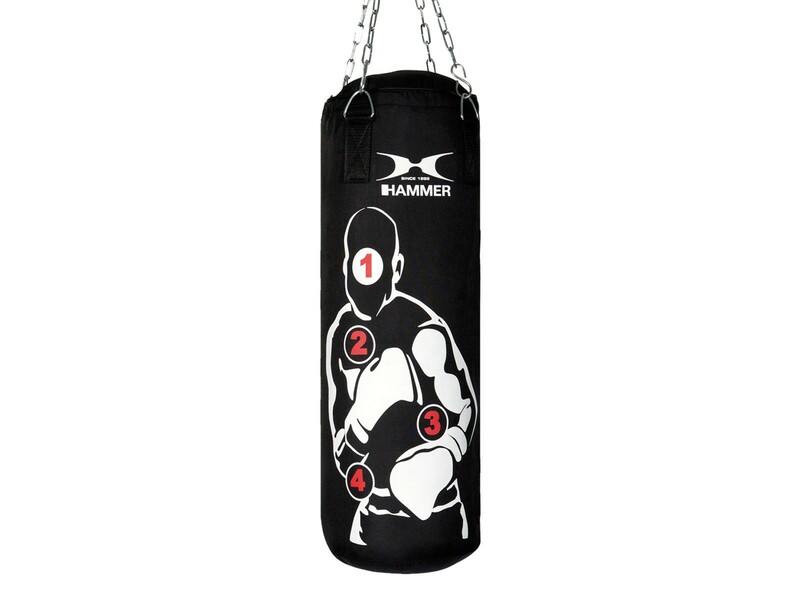 Here’s a great way to practice your punches with a partner – Hammer Sparring Bag Punching Pro is specially designed with a numbered score point print to make training extra versatile and exciting. 3… 2… 1… GO! Whether you like to work out alone or prefer sharing your fitness time with a training buddy, Hammer Sparring Bag Punching Pro will provide you with an extra edge for a fun, diverse and dynamic workout that should add an extra bounce to your step! 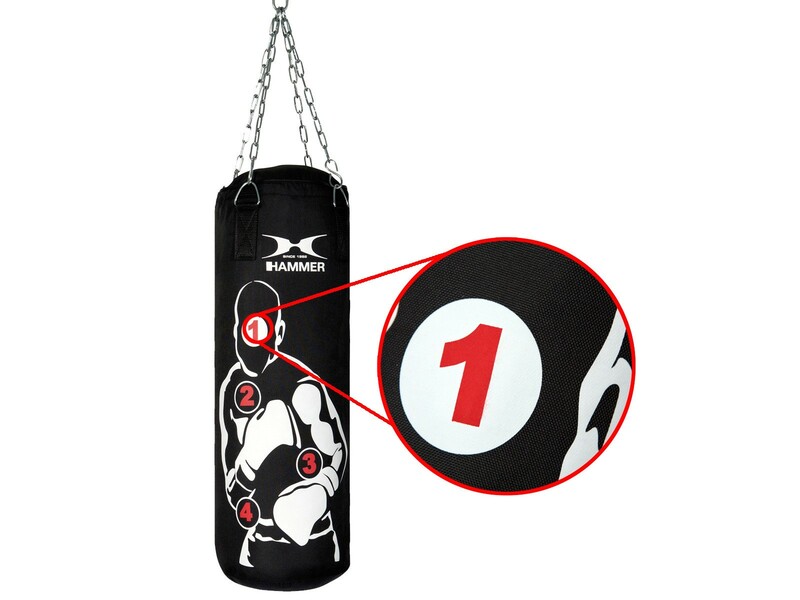 An innovative solution from the new Hammer Boxing Line, Hammer Punching Bag Sparring Pro features a unique upper body numbered print so you can test the accuracy of aims and vary up combination routines. Have a partner call out punching combinations for that extra bit of fun and challenge – Hammer Punching Bag Sparring Pro provides an excellent way to test and train response, springiness and accuracy. Makes an ideal addition to your home gym whether you prefer training alone or with a partner. Attractive, provocative style stimulates that extra sharp punch. Nonconformist, different and untamed, Hammer Punching Bag Sparring Pro is made from the best materials and perfect production that are synonymous of the premium class. 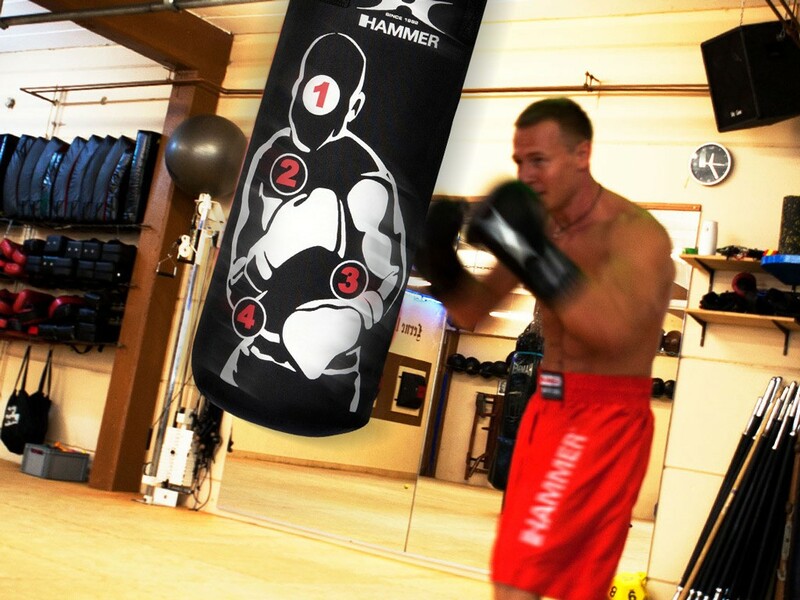 With a look and feel like no other, Hammer Punching Bag Sparring Pro makes an innovative and functional addition to any home gym. Made from robust insensitive Nylon material that provides effective resistance upon impact. Sewed on chrome chain holdings are thoroughly processed and designed to last. Available in sleek black base colour with printed numbers on upper body figure. Choose from among sizes 60, 80 and 100 cm. Printed with numbered score points to facilitate diverse punching combinations. Response, springiness and accuracy may be trained extremely well. Made from sturdy, insensitive Nylon material. Great for training with a partner. Designed to make boxing extra exciting.